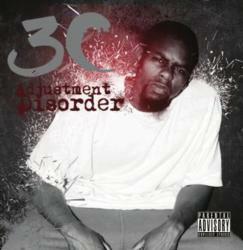 Coast 2 Coast Mixtape Promotions and Deka Records Present 3C’s Latest Project, Entitled “Adjustment Disorder,” Available for Purchase From iTunes and Other Music Retailers. Rap artist 3C recently released his album “Adjustment Disorder.” Deka Records presents the project, with additional support from Coast 2 Coast Mixtape Promotions. It is now available for purchase on iTunes. “Adjustment Disorder” features 3C on tracks with guest artist appearances from Egypt, Julia Fanning, Koopsta Knicca, and Rizowe. Originally from Forsyth, GA but now living in Washington D.C., hip hop artist 3C began pursuing music at the young age of 12 as a singer, but soon found that he was better suited for rapping and began to develop his unique style. He now likes to move people with his music, which is why he enjoys the raspy, loud voice and lyrics that accompany his high-energy tracks. “Adjustment Disorder” is a reflection of a period in 3C’s life when he was feeling angry and depressed, and did not know what was wrong. It turns out that he was suffering from adjustment disorder, which led him to seclude himself from many of the close people in his life. What was a difficult period has provided the inspiration for his album. 3C is not only an MC, but also dabbles in production and songwriting. 3C is currently working to market and promote the album and his personal brand. He has plans to possibly release a mixtape later in the year and hopes to tour in the near future.